The name on a plant label tells you a lot. Let’s start with the basics of plant names: Scientists use a binomial naming system. 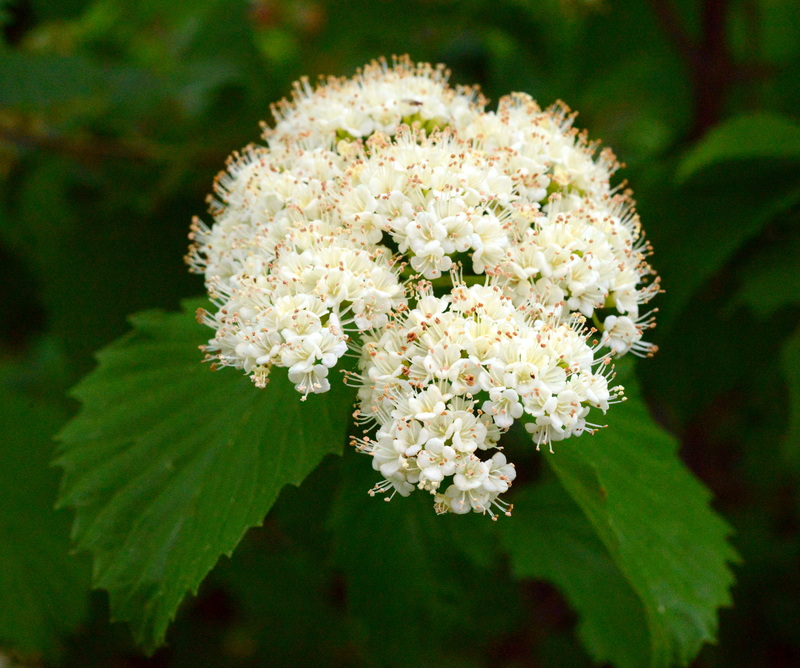 A name consists of a genus name plus a species name: Homo sapiens (us), Canis familiaris (dogs), Viburnum prunifolium (a native shrub with white flowers in spring and purple berries that birds devour in late summer, sometimes called nannyberry or blackhaw). Using species names is important. Many of the common names we use are actually genus names: Viburnum, Aster, Phlox. Others are simply common names: “maple” refers to many but not all species in the genus Acer; “dogwood” refers to some species in the genus Cornus; “daisy” refers to any flower with a yellow center. For example, I might suggest planting native viburnums, and my client might reply, “I have viburnums. The landscaper put them in. They have nice big leathery leaves.” Sorry—we’re talking about two different things. I’m referring to several different native species within a genus, Viburnum, which occurs worldwide and includes hundreds of species. My client is referring to a specific plant that she was told is called a viburnum. That plant is a member of a specific group of sterile hybrid plants produced by crossing two nonnative species, so if she planted those viburnums to feed the birds, she’s probably disappointed. It’s the same as saying, “I have a canis for a pet.” Do you mean a wolf, a coyote, a dog, or a jackal? To add to the confusion over names, the vast majority of plants you buy in nurseries are hybrids (the name will say something like “Viburnum xburkwoodii”) or cultivars (the name will be in single quotation marks), which means that the plant has been bred by a breeder who owns the rights to its reproduction. Both hybrids and cultivars have been bred for certain features that the breeder finds desirable, such as flower color, number of flowers, or height, but in the process the traits that make the species attractive to wildlife may be lost. As a result, most hybrids are sterile and will not attract pollinators seeking nectar or birds seeking seeds or fruit. These plants are useless in an environmental garden. Cultivars are less problematic than hybrids. Cultivars are often natural variations: a plant breeder notices that some individuals of a species are shorter, or have variegated foliage, or larger flowers, or some other desirable characteristic, and reproduces those individuals so that they reliably display the desirable characteristic. Changes that affect the plant’s size or shape or leaf color are less problematic than those that affect the flowers. So if you like Physocarpus opulifolius ‘Diablo,’ a ninebark cultivar with reduced size and dark red leaf color, go for it. But avoid cultivars that affect flower color, shape, or size. Pollinators are picky. I tend to stick with pure species, which are surprisingly hard to find in the average suburban garden center. However, I am gradually admitting a few carefully selected cultivars into my garden as well as suggesting them to clients. Arrowwood viburnum (Viburnum dentatum) blooms in late spring. And because it’s a pure species, the flowers are fertile, which means they attract pollinators and turn into tasty berries for birds.